Are you looking for a professional cleaning company? Do you live in Ealing, W5? Consider choosing a responsible cleaning company in Ealing, W5 – Glory Clean. We are experts in cleaning services, and our experience speaks for itself. Being in the industry over the years, "Glory clean" focuses on cleaning services like residential cleaning, commercial cleaning, end of tenancy cleaning, spring cleaning, etc. We are always responsible for taking proper care of our customers, no matter whatever services they book. Everyone who is part of our company is insured and certified, has significant knowledge of cleaning services in Ealing W5. Your home needs a makeover, and our cleaning company in Ealing W5 will help you accomplish that. Every deep cleaning we carry out in homes is designed to not just your home look clean, but be hygienically clean deep down. This is the main reason why upon hiring our residential cleaning service, you will receive meticulous attention to every detail, extreme professionalism and dedication. Hiring your cleaner is something people more often think about doing but never get round to doing. Now, there has never been a good time to allow someone else to do the cleaning for you. As Glory Clean not only offers you the affordable pricing but has fully vetted and checked cleaners. In Ealing W5, you have the option of getting a better house clean with our professional cleaning company. Glory Clean provides the best-in-class cleaning that can transform your carpet so it’ll be back looking at its best. It’s same with our upholstery cleaning in Ealing W5, and you will have clean and tidy upholstered furniture. 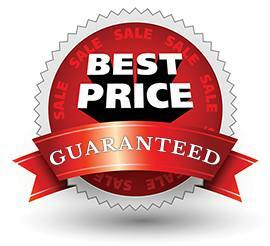 Our price for cleaning service is low, and the quality of cleaning is excellent. So, there is no need to go anywhere else because of all the cleaning companies, our cleaning company in Ealing W5 has been proven to be the best with every task we do. Contact us right now and let us get started your cleaning in Ealing W5!